Choosing a holiday destination is an arduous task, with so many factors to consider. Plenty of questions will come to mind while planning your perfect holiday. Cost? Type of activities being offered? Travel time? Climate? There are sufficient travel destinations on the market to choose from, but what makes a destination a “must-go-to” place? Surely, deciding on your next holiday is not that easy. At Magic Oceans we will make it easy for you to decide. Travelling solo? Travelling with friends? Travelling as couple on a honeymoon? Travelling as a family? Or travelling as a group? At Magic Oceans we cater for your needs! Magic Oceans is situated in a quiet, remote area, making it ideal for people who are looking for a place to truly relax and unwind. It is ideal for family holidays, to create special memories above or below the water. Whilst the parents are diving our staff can look after your children and make sure they enjoy their day with fun-filled activities. Solo? You will never feel alone here. We make sure there is always company on hand, should you desire it – be it during a dive, while enjoying your food or soaking in the sun by the pool. A perfect place for lovebirds and honeymooners too, we can even arrange a special secluded romantic dinner for you away from the main restaurant. Our staff always go the extra mile to make the celebrants day extra special. Birthdays, anniversaries and other special celebrations can be celebrated here, and the effort by the staff will surely bring a tear to your eye. The more, the merrier! 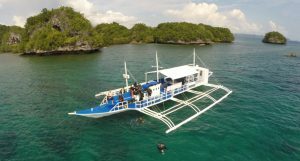 Travelling as a group has never been this easy, fun and organized! 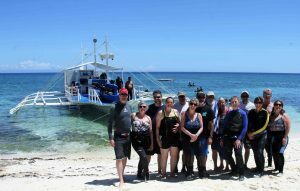 Create wonderful memories both on land or underwater with your diving buddies or travel companions. 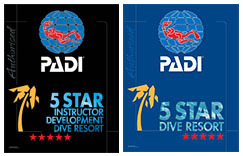 As a diving resort, it is a given that we cater for the hard-core diving enthusiast who just wants to spend more time under than above water. Underwater we have many sights to see. Beautiful untouched walls full of soft and hard corals, it is normal to see several turtles or a nice school of jacks. We also have some amazing critter dives for those that love macro, where we can spot up to 150 different species of nudibranch, pygmy seahorses and frogfish. Our highly trained dive guides have the amazing ability to spot even the tiniest of nudibranch and those cleverly disguised pygmy seahorses for our avid macro photographers. 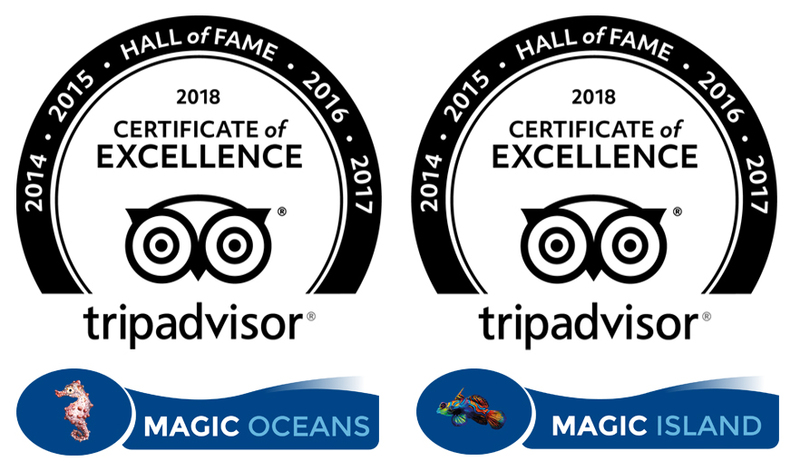 At Magic Oceans we deliver a personalized service, from the transfers, daytrips, relaxation services and restaurant to the diving; so smooth and well arranged it feels like MAGIC! We, at Magic Oceans want you to experience all that, and more. We are more than happy to answer all your questions and assist you every step of the way to your dream holiday!